Externed for the former California State Supreme Court Justice Edward Panelli and Federal District Judge William Orrick Jr.
John Edson is a partner in the Business Trial Practice Group in the firm's San Diego office. John focuses his practice on insurance and business litigation. John represents insurance companies that are sued for bad faith, fraud and unfair competition. He also provides coverage opinions, conducts examinations under oath, and helps with the drafting of insurance policies and applications. His clients include Allstate, Infinity, Travelers, Wawanesa, and OneBeacon. 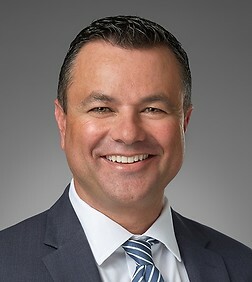 He represents insurance clients throughout California. John also has experience in employment and bankruptcy litigation. Ryan Gilbert v. Infinity Insurance Company - Obtained summary judgement for defense verdict due to insured's refusal to produce unredacted phone records.